If you’re looking for a local Egg hunt this Easter Bank Holiday Weekend (19th -22nd April 2019) here’s a roundup of the top 7 egg hunts for families in North Leeds! There are loads of Easter Eggs hidden around the estate, hunt them down to be in with a chance of winning an eggcellent prize. You can also pay a visit to Home Farm to meet the new lambs, calves, piglets and kids, many of which roam free throughout the cobbled streets of the farmyard. Egg-splore Tropical World this Easter, with an exciting twist on the traditional egg hunt. Look out for eggs from creatures of all shapes and sizes, and learn amazing facts about them along the way! Once you have completed your eggsplorer sheet you can enter into a free prize draw to win a Meerkat experience. Aireborough Rotary Club’s Grand Easter egg hunt is fun for all the family with a walk around the reserve to find hidden eggs. Plus tombola, games and crafts. Hot food and refreshments are available. FREE entry. Drop-in event. Suitable for toddlers. There will also be natural craft demonstrations, mini nature gardens to make and other child-friendly activities, as well a café with homemade cakes and refreshments. Drop in event. However, booking required to get a chocolate egg. Suitable for toddlers. Collect a real egg from the Nursery then Eggsplore the gardens and hunt for decorations to make your egg look Eggstra special. £3 per child and includes juice and a homemade biscuit. Pre-booking required. Suitable for 2-10 year olds. Find the golden eggs hidden around the Victorian Streets and complete the family challenges; can you guess the mystery smells or make a tune with an egg shaker. There will also be Easter crafts available. 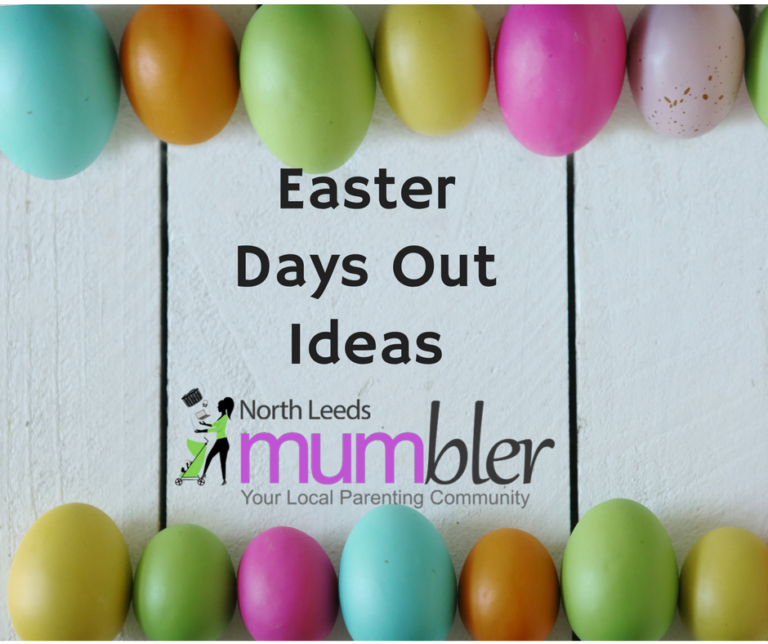 Or for more ideas for Easter days out click here.